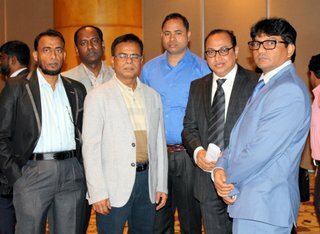 A Press Conference was held on 26 February, 2017 at Westin Hotel & Resorts, in Dhaka Gulshan Avenue to share perspective and the programme of Product of the Year-2017. 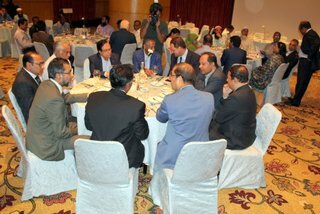 Hon’ble Minister Mr. Tofail Ahmed, MP; Ministry of Commerce, was attend there as Chief Guest on the conference. He said Country’s Leather and Leather Products would register US$ 5 billion export earnings by 2021. Mr. Hedayetullah Al Mamoon, ndc, Senior Secretary; Ministry of Commerce presided over the programme. Mr. Mikail Shipar, Secretary; Ministry of Labour and Employment. Mr Shubhashish Bose, Secretary in Charge; Ministry of Textiles & Jute. PARAG, Additional Secretary; Ministry of Industries. 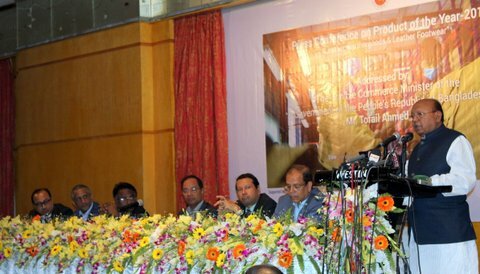 Mr. Shaheen Ahamed, Chairman; Bangladesh Tanners Association (BTA). Md. 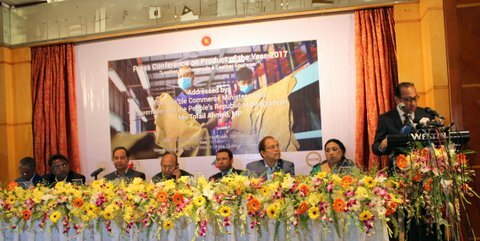 Saiful Islam, President, Leathergoods & Footwear Manufacturers & Exporters Association of Bangladesh (LFMEAB) and Mr. Mohiuddin Ahmmed Mahin Chairman; Bangladesh Finished Leather, Leathergoods & Footwear Exporters Association (BFLLFEA), was present in the Conference.